Barely a week goes by that we don’t see a hurricane, heatwave, earthquake, flood, or other catastrophic weather anomaly reported in the world news. Extreme weather phenomenon are becoming more and more prevalent, and I often wonder what technology local governments use to coordinate warnings, efforts, and instructions to civilians. Are they incorporating more recent tech like IoT, AI, wearables, drones, and crowdsourcing to handle crisis-management more efficiently? This past year I got my chance to find out and begin contributing to this transformation, along with colleagues from IBM Research and the EU. The beAWARE-EU funded consortium seeks to augment existing crisis management solutions with innovative technology that integrates improved forecasting, early warning systems, data aggregation, and management coordination for first responders and authorities. Crisis management isn’t new, but we can push its envelope in terms of what data we collect, what systems we connect to, and how we analyze and share that data to boost decision-support and coordination in times of emergency. Our team at IBM Research-Haifa specializes in building platforms that collect and analyze data—andnow we’re bringing drones in to play a starring role. In recent years, drones have quickly gone from military use to public and private ownership, with their popularity multiplying at supersonic speed. We’re now seeing them being used for logistics, security, monitoring, farming, insurance, and more. Scientists at the IBM Haifa Research lab have been working on algorithms that go a long way toward enhancing their capabilities for navigation, object recognition, accuracy, and monitoring. The challenge in working with drones is in managing and maintaining them. 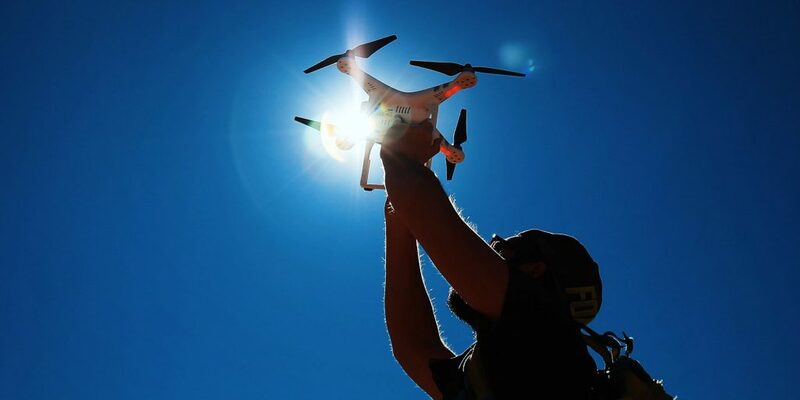 Aside from purchasing the drone itself, it must be equipped with the right sensors, paired up with a skilled pilot and license, have the ability to accurately capture videos and photos, meet safety and privacy regulations—and then there is the more complex stage of collecting, storing, and analyzing their data. Haifa scientists have developed a cognitive cloud-based platform, offering a framework for the management, provisioning and operation of drones, and drones services. Thus, our long-term vision is for civilians to be able to register their drones to the platform and contribute to the crisis management, through autonomous mission managed by the platform. For example, John would leave his drone on his terrace, make it available to the platform, and in time of crisis the municipality would be able to make use of John’s drone to stream video from an affected area. In return, John will be paid for the provided services. The platform itself can support a services marketplace containing building blocks for easily creating solutions. For example, an automatic pilot service and another service counting cars in the water can be combined to an application that monitors the amount of cars in a flooded area. beAWARE is all about giving municipal authorities and decision-makers a richer big picture through updated information on weather crises. This is accomplished by collating and analyzing input from different origins, such as citizens that post relevant twitter updates, or send video or photos. The drones provide another vital layer of information that completes the big picture. For example, the technology developed in Haifa allows users to provide coordinates defining a ‘geo-fenced’ area of specific interest. The drones can then proceed with autonomous flight over the area at a precise elevation and collect video data that can be relayed instantly to emergency coordinators. Raw footage can be made readily available, in addition to analyzed feeds. Say, for example, we have an area in Italy that is likely to experience flooding when it rains heavily in the nearby mountains. As the rain gets stronger, the weather forecasts and water level sensors warn of possible flooding. At this point, the information starts coming in to the system. Citizens start tweeting or sending information on the solution’s dedicated application reporting a rising water level along with photos. Then more people send data and video starts to come in. Initially, the beAWARE platform collects this multimodal data including text, images, audio, and video from the different sources, whether citizens, drones, weather sensors, or cameras. The platform then fuses the data to draw conclusions about what’s going on in the field and relay the mapped alerts to the onscreen dashboard of the decision-makers. The information can include the exact location, level of the crisis, estimated time to flooding, and more. beAWARE continues to analyze the situation based on the information coming in and users can gain access to a dashboard to see more data – both the raw data and the conclusions being reached. Next, the authorities will be able turn to the platform for support in deciding which responders are available, what teams to send where, and what needs to be done in specific geographical locations. The solution can be equally valuable for governments, municipalities, firefighters, police, and citizens who need updates on closed areas, shelters, or new hazards. In November 2018, the beAWARE system will be called upon to help coordinate emergency response to a simulated heat wave in Salonika, Greece. In that situation, beAWARE will manage relief sites where people can get treatment and be exposed to cooler air conditioning, and verify that those centers are not getting overcrowded. The beAWARE solution also plans a test run in March 2019 to see how it can help authorities handle a flood in Vicenza, Italy. This production will involve hundreds of volunteers acting out the scenario, props, and of course, a chance to draw conclusions as to the readiness for handling such events. Towards the end of 2019, consortium partners will hold a live exercise to rehearse a fire in Valencia, Spain. The ‘forest fire’will happen in a semi-urban area with buildings that will require evacuation, citizens that need direction, healthcare facilities, and other serious maneuvers. Drones add a new dimension to emergency response system. Together with new capabilities that can collect, treat, merge, and analyze a myriad of data inputs, we foresee a uniquely agile and efficient system that can classify crises, respond in kind, learn from previous situations, and offer the ultimate in decision support.